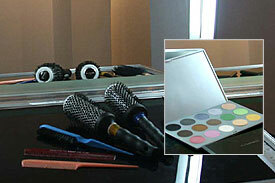 Savva International is a Mobile Hair & Make-Up Team, specializing in Weddings & other memorable occasions. They come to you anywhere, around the gorgeous island of Santorini. Savva International is the creation of Helen & Kosta Savva who also created the multi-award winning ‘Savva Hair & Body Studios’ in Sydney, Australia. After 12 successful years with Savva Studios they took their talents which span over two decades to Santorini, creating ‘Savva International’. These two multi-faceted individuals have combined their skills, dedication & innovation, which in conjunction with their life long passion for international standards of hair & beauty & their fine attention to detail, strive to achieve excellence. We understand that one of the most important days in a woman’s life is her wedding day & we know first hand the stress that goes into creating that perfect day, especially trying to organize it in another country, so we make this promise to you : we will do everything we can to make your day run as smooth and stress free as possible, & we look forward to being part of your special day. Helen & Kosta Savva understand the importance of a relaxing wedding day, especially on the gorgeous island that Santorini is. They both speak English & Greek making it easy to communicate with most people from around the world. They will personally prepare you for your special occasion, spending time prior to your wedding to discuss the perfect look for you. Their expertise in bridal hair and upstyling & Helen’s excellence in make-up artistry will make you feel & look like the most beautiful and stylish bride you have always dreamt of, giving you confidence, so you will love every moment of your day. Imagine waking up in the most romantic place on earth. Beautiful white washed buildings and the magic of the crystal clear waters of the Aegean. You find yourself lost in a labyrinth of winding narrow streets and stairways that all lead to a new and spectacular outlook over the Caldera. Helen & Kosta Savva will be there to help make this day perfect and stress free. They will personally prepare you for your special occasion, spending time prior to your wedding to discuss the perfect look for you. 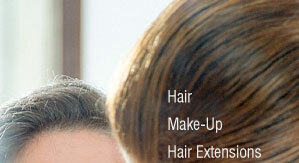 The afternoon is spent being pampered & groomed, preparing you for your romantic wedding in spectacular Santorini. The sun then puts on the performance of a life time, sinking slowly into the mystic waters of the Greek islands, as you sip your first glass of champagne as husband & wife. Their expertise in bridal hair & upstyling & Helen’s excellence in make-up artistry will make you feel & look like the most beautiful and stylish bride you have always dreamt of, giving you confidence, so you will love every moment of your day.